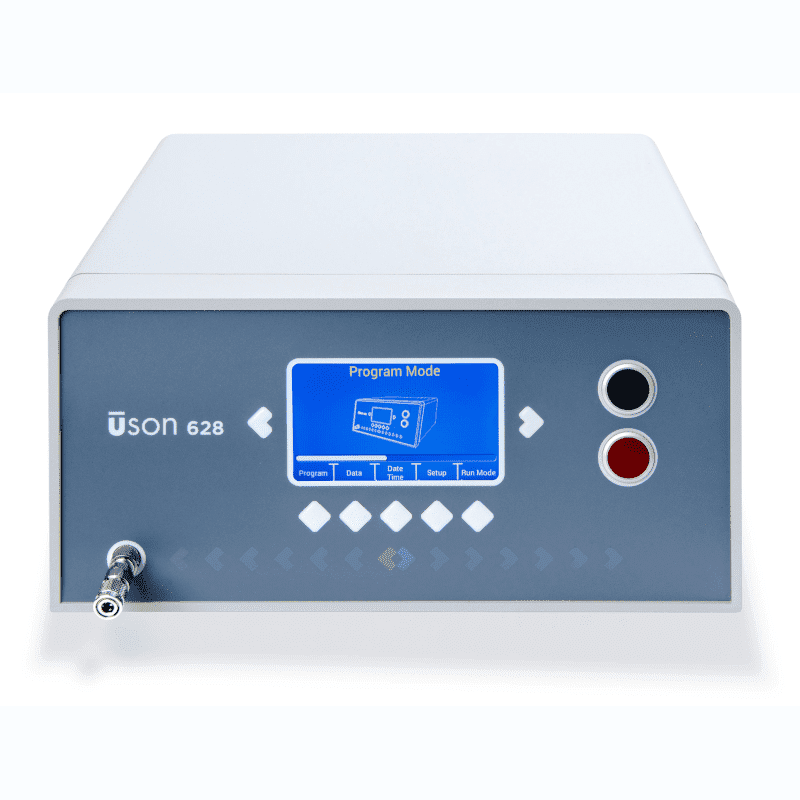 Uson’s Model 628 differential pressure decay leak tester is a compact, reliable, and accurate instrument that is ideal as a budget-friendly benchtop option for a wide range of industries. The 628 leak tester incorporates an intelligently designed multi-language user interface, with the capability to collect and transmit a vast amount of data, for offline trend analysis and a deep level of insight. The 628 is a highly flexible leak tester, offering users the ability to choose from five pressure ranges – from vacuum up to 15 bar to cover a wide range of applications. And, it allows users to create and save up to 30 test programs for fast recall. The 628 leak tester was designed to be easy to use in a busy laboratory environment. A backlit user interface makes accessing information easy, while bright uniquely designed lights on the front panel allow for at-a-glance monitoring from across a room. The menu system is intuitively structured to make setup and operation practically effortless. The 628 leak tester is a surprisingly powerful instrument, packaged in a simple design. Incorporating the differential pressure decay method to provide highly accurate and reliable results, the 628 can run test cycles to display leak rates in a range of pressure units or volumetric units using the leak rate calibration option. 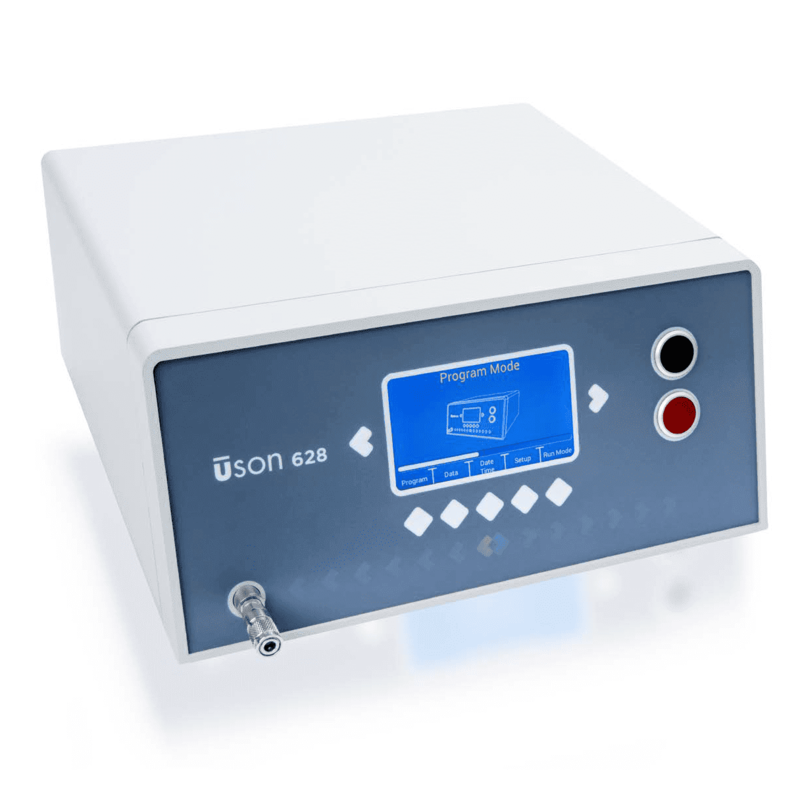 The 628 incorporates Uson’s industry-proven proprietary sensor and valves, to deliver the type of results that are expected from more sophisticated instruments. The 628 leak tester ensures a high level of control over the instrument. With a convenient USB port, firmware updates, data transfers, and program backups are easy. Program security and data access are controlled by a password, while couple safety valves control the position of the machine in the event of a power failure. With a durable, splash-proof and dust-proof enclosure, the 628 leak tester is designed for quality in manufacturing laboratory environments. It features a reliable, solid-state hard drive for high-speed data transfer, and accommodates single-range 0-20 mbar calibration for accurate results. Plus, the 628 features an advanced, upgrade friendly design that makes service and maintenance easy.